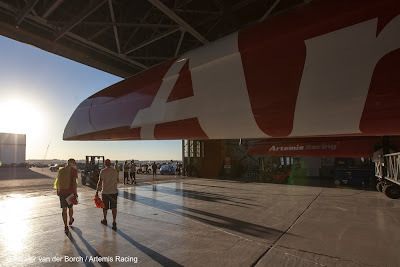 18 October 2012 - In preparation for sailing the Artemis Racing AC72, the team was conducting valuable structural tests afloat earlier today when damage was incurred to the front beam of the catamaran. 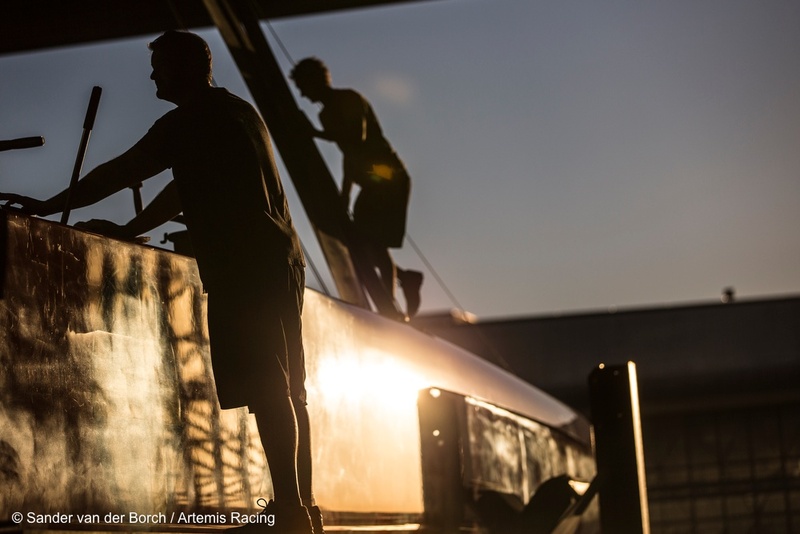 "As a team, it is our responsibility not to launch these boats until every single box has been ticked in terms of safety and structural integrity. This is a key part of the due dilligence process when entering unknown territory," said Laurent Esquier, COO of Artemis Racing. 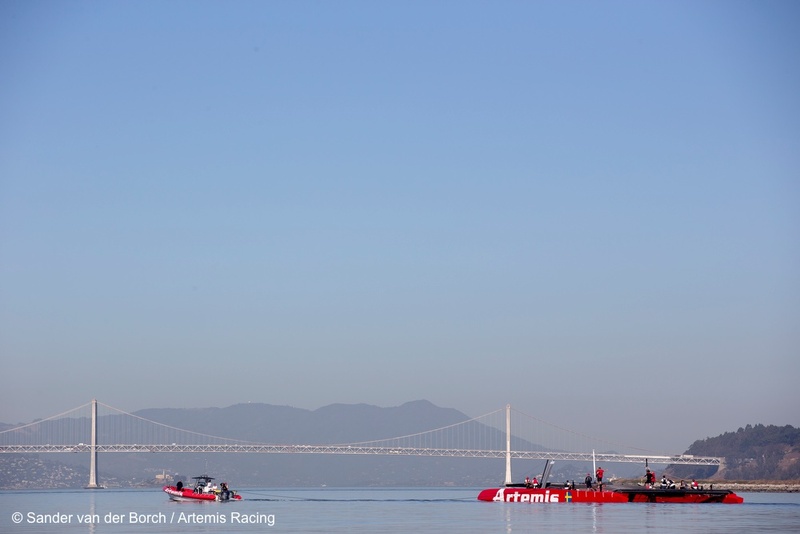 "All teams are going to face setbacks, but the determinent factor will be the team that rebounds the best," said team CEO Paul Cayard.